It is with sadness that I announce to you the death of my elder sister Chansa Magrine. She died in Kaputa hospital last night after a long sickness. The burial took place last Saturday the 25th September. I ask you to pray for her, for her 3 children remaining, for our family and especially for mum. I am in contact with my family. Members: Matilda Baanuo, Monique Racine, Chimwemwe Theresa Mgangira, Marie-Ange Ndayishimiye, Vicness Nangogo Muleya and Jane-Francis Namagand. 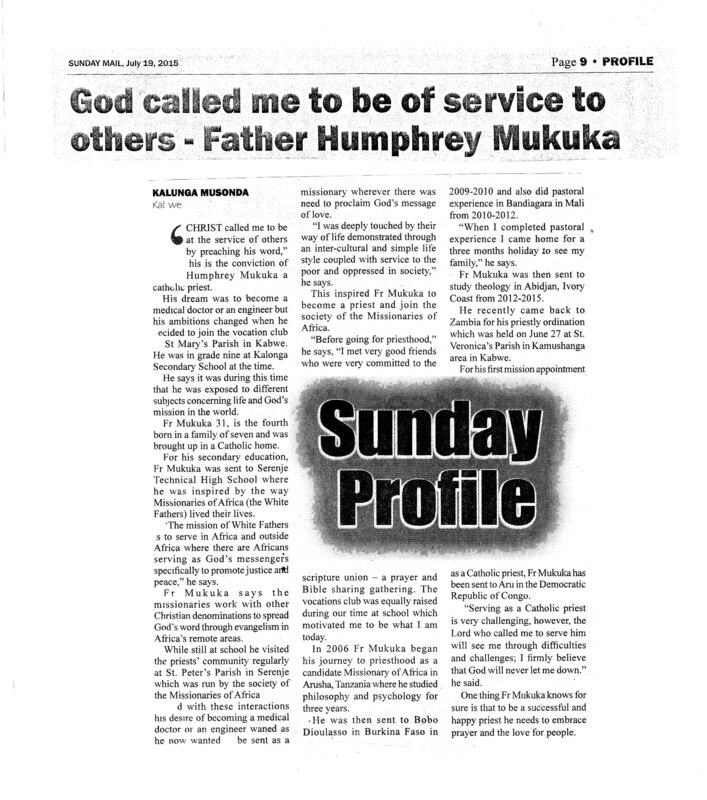 Tanzanian, born in 1969, Oswald Mallya spent most of his missionary life in Zambia since his ordination in 2003. 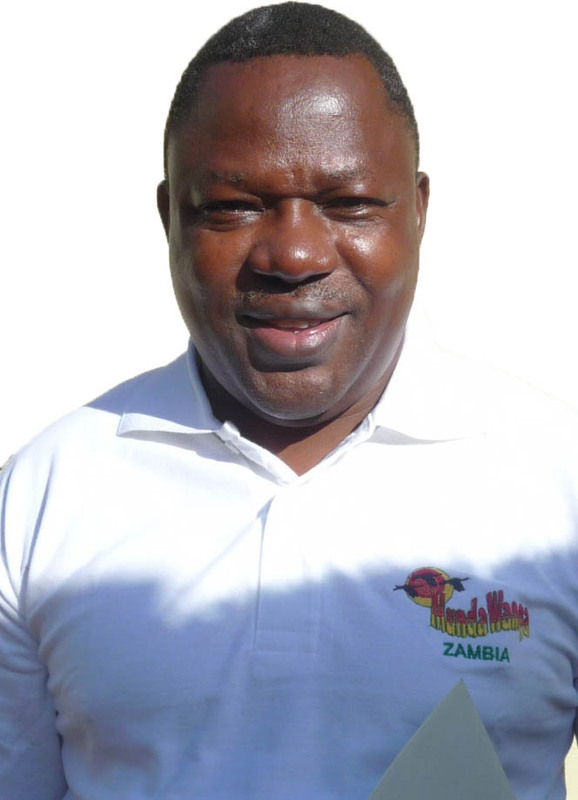 He was Parish Priest in Kabwata and later on in Serenje before being elected as Delegate Superior for Zambia in 2013. He got a M.A. in counselling at the University of East Anglia, Norwish, United Kingdom. 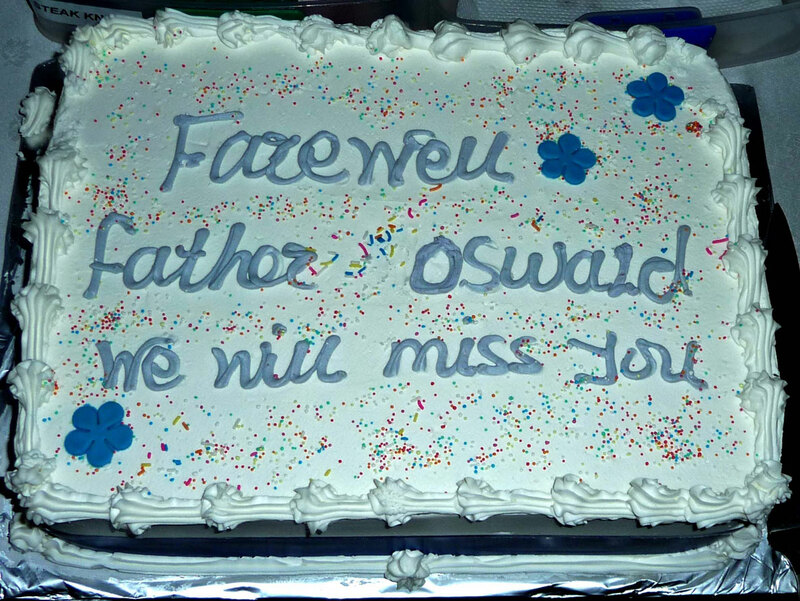 The lay Association of the Missionaries of Africa MIMSAF invited friends and confreres to say goodbye to Father Oswald Mallya at Kabwata parish. 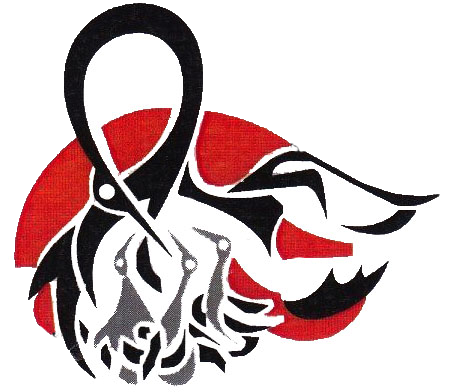 Oswald was very instrumental in helping to set up MIMSAF which has grown over the years. 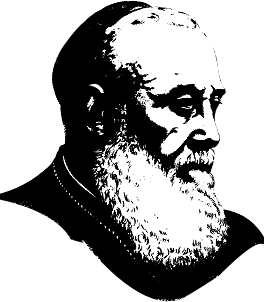 Thanks to the effort of them all to share the spirit of prayer and the spirituality of our founder Cardinal Lavigerie. 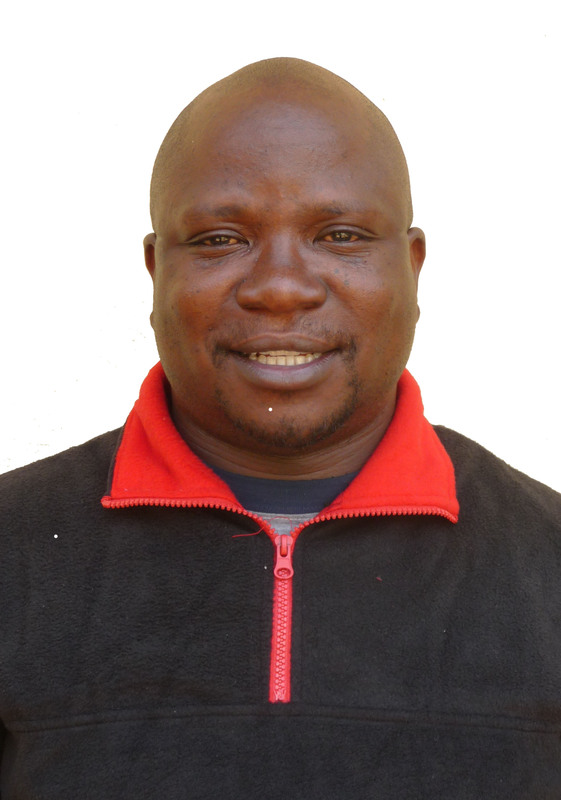 Oswald is on his way to Uganda to become a member of the staff in our formation centre in philosophy in Jinja. We wish him a safe journey and blessed apostolate in his new mission. 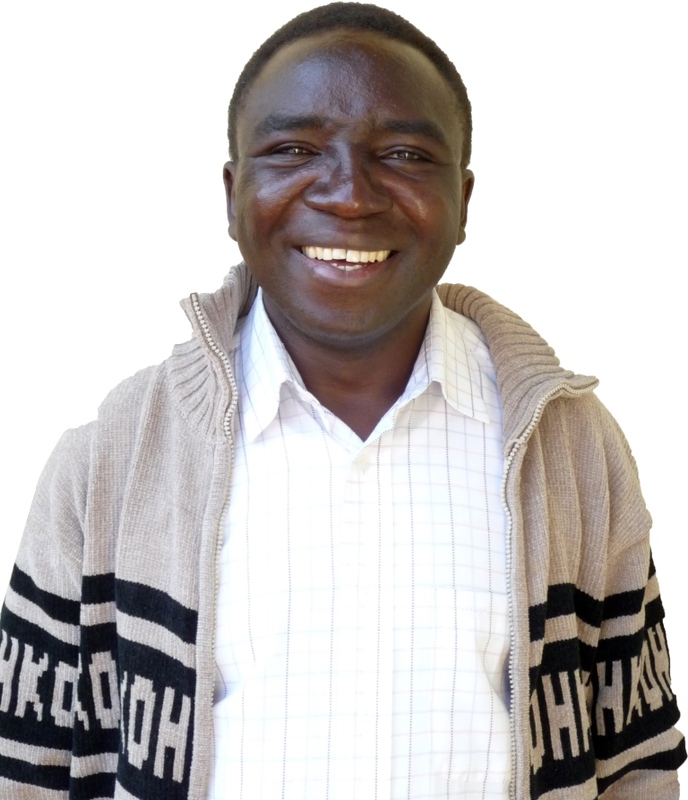 We wish to announce you about the sudden death of the father of our confreres Robert Tebri, Rector in Balaka. The death happened yesterday while Bob was already close to his sick father, in Ghana. Let us pray for the family and may the deceased rest in peace. 11/07/2015 updates: I wish to inform you on the funeral arrangements for the father of our brother Bob Tebril. Wake keeping (traditional) on Friday 17th July. Mass and burial: Saturday 18th July. Venue: Family compound in Doatan near Nandom town. Those who can make it, should try to go to accompany our brother, and those of you far, could keep him and his family in prayer. Yours in sorrow Dominic Apee, GhN Provincial. 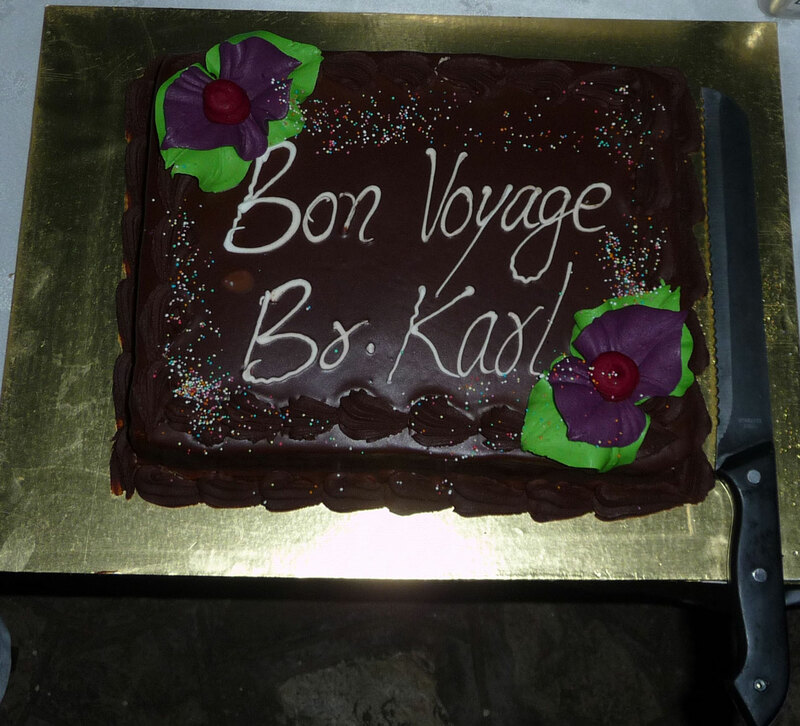 By a cold evening, Brother Karl Kälin said goodbye after nine faithful years as Provincial Treasurer in SAP Province. Many confrères and M.S.O.L.A. Sisters came to wish him a safe journey and a lovely retirement at home in Switzerland even though we know that Karl will no stay idle. His dedication will surely show him a new way to serve people. Dear Karl, we all wish you happiness wherever the Lord will guide you. Here some messages sent by confreres. As I know you for quite a few years as member of the general financial council, meeting in Rome, when you came to check our accounts in the province and as Provincial treasurer when I was treasurer for the sector of South Africa, also for dealing with you in Zambia for the construction. I like to thank you very much for all your services and the good work you have done for the Society and for the province of SAP and wish you all the best for your future wherever it will be, may the Lord be with you and bless you. Many thanks for everything what you have been and what you have done for me and for all of us in the province. May the lord continue blessing you. I will remember you and remaining united wherever we may be. Not being one of those able to be with you for your good-bye feast I would still like to wish you many blessings that I’m sure the Lord has in store for you in the future as also to thank you for all your patience, kindness and the much-appreciated services you have given me over the years you have been on the job there in the treasurer’s office. My prayers will be with you and may yours be with me. Warm greetings from Kabwe, particularly from myself and all my family members and friends. Here we are very fine thank you. 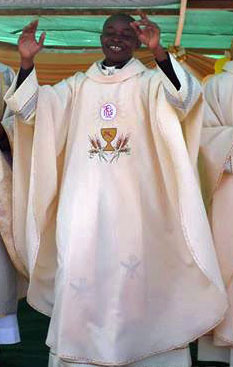 I would like to express my sincere gratitude to you all fellow confreres and to all those who in one way or another contributed to the success of my Priestly Ordination and my First Mass respectively on 27 and 28 June 2015. Special thanks to MIMSAF from Lusaka who came in big numbers to render support and encouragement. 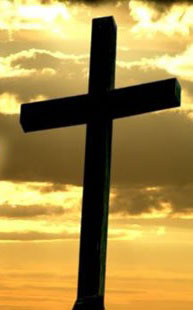 May our loving God richly bless each and every one of you. I am very touched by the warm support received from you all. 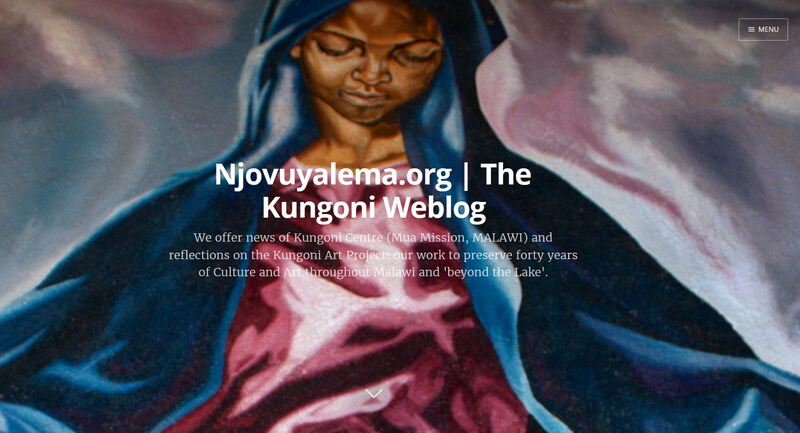 Let us continue supporting and encouraging one another in this way as our commitment to serve our Lord continues. Thank you so much once more to every one of you. I regret to inform you of the following. Mr. Moses Kunda the nephew of our confrere Felix Kamunenge passed away in Samfya hospital yesterday 3rd July 2015. Felix is with the family in Samfya. Mr. Joseph Mwamba the elder brother of our confrere Alick Mwamba passed away this afternoon 4th July 2015 at Kasama. Alick is with the family in Kasama. Let us pray for Moses and Joseph that the good Lord will receive them and also that the two families will find meaning in this sad event. May they rest in perfect peace. Composition of the new SAP Provincial Council. Note: Underlined and in bold is the Provincial and the Delegate Superior of the Sector. In bold is the second Provincial councillor from the sector. Zambia is yet to choose this second councillor. All the other confreres are substitutes of their respective Sector. The Provincial together with the new Delegate Superiors and their second councillors will have their first meeting will take place on 22nd till 24th July in Woodlands, Lusaka.